For restaurant-bars to watch NFL Football in Orange County, The Hangout has some of the best places near you â€” thatâ€™s not a sports bar. Drink the latest craft beers on draft, eat amazing burgers (10 options), hot wings, BBQ, Pork, Salmon, or Beef sliders, seafood, & more! With a great local vibe. weâ€™re an ideal place to hangout thatâ€™s smaller with personalized service. 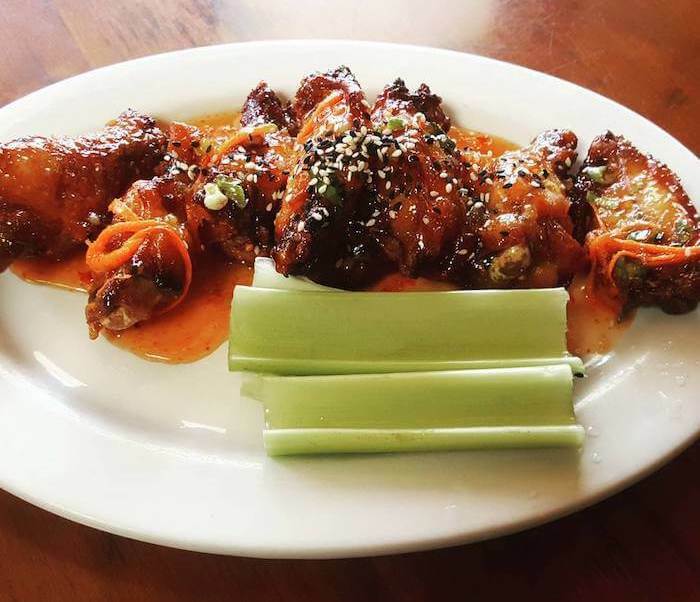 Our diverse menu is ideal for groups with 10 or less (Monday thru Friday). With NFL Sunday Ticket, you can watch every game. For football brunch, on Sundays, donâ€™t miss our great food and drinks specials! 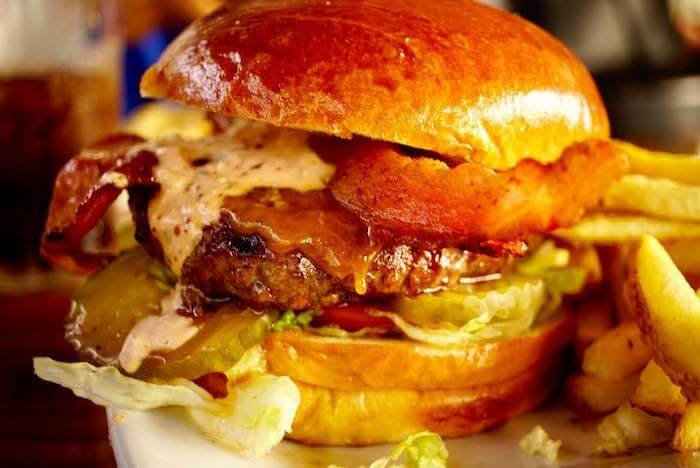 CBS choose us for one of the top restaurants for the Best Bloody Marys in Orange County. With 5 types from classic to deluxe and choice ingredients, itâ€™s no wonder who youâ€™re going to choose. For Craft Beer aficionados, our rotating tap list changes. Sure, we have standard go tos but our goal is bring in the latest microbrews keeping it unique and interesting. Visit our bar pages to see whatâ€™s on tap for that location. 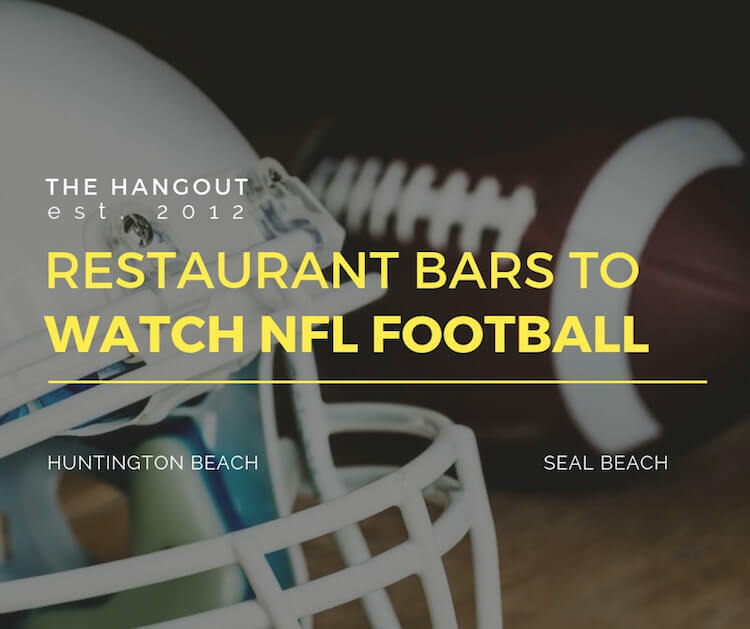 For Restaurant Bars in Seal Beach to watch NFL Football, The Hangout sits by the Pier. Relax with our helpful staff, award-winning bartender, and big food & drink selection. Our close proximity to The Seal Beach Pier offers great views, parking. and access to over 150 local downtown shops. Located on Main Street, weâ€™re in the heart of downtown popular on Weekends. We recommend coming early to get a window seat. For Restaurant Bars in Huntington Beach, Watch NFL Football minutes to Bella Terra and walkable from Huntington Harbor Mall. Our outdoor patio, with space heaters in cooler weather, is dog friendly. TVs adorn the walls throughout. Sit inside with a booth or outside on the patio and feel the nearby harbor air. Weâ€™re located just south of Edinger Ave and north of Warner Ave. Playing a round of golf at Meadowlark golf club? The Hangout is just minutes away.